GET ready to be taken on a ride at this year's Warwick Rodeo - a bull ride in fact. The bull cam is coming to Australia's Most Famous Rodeo to give spectators a little more insight into what its like to be lurched, pulled, bumped and bounced on top of a bucking beast. Big Screens Australia confirmed it will bring a bull cam as a part of its new set up which is being used only for the second time in Australia. Company owner Martin Pettifer spoke about the bull cams from Brisbane yesterday, where he was filming Queen Elizabeth II's visit. But it will go from royalty to rodeo royalty when Big Screens Australia comes to Warwick this week to set up its 40-square metre screens and range of cameras to catch the action. Mr Pettifer said there will be cameras mounted on poles filming the riders getting ready to go and the bulls up close and personal. The cameras will then follow the riders out of the rodeo chutes where another camera will pick up the rest of the action. "It basically gives a new perspective and helps the patrons feel like they are up close with the bulls and rider," he said. "It really helps to build the tension and helps them to feel the tension." He said the system had only just been trialled and used at the Mount Isa Rodeo for the first time. Mr Pettifer said they may also bring rider cameras, which would be attached to competitors' helmets. Rodeo administrator Steve Hilton agreed the bull cams would add to the rodeo experience for those looking from afar. 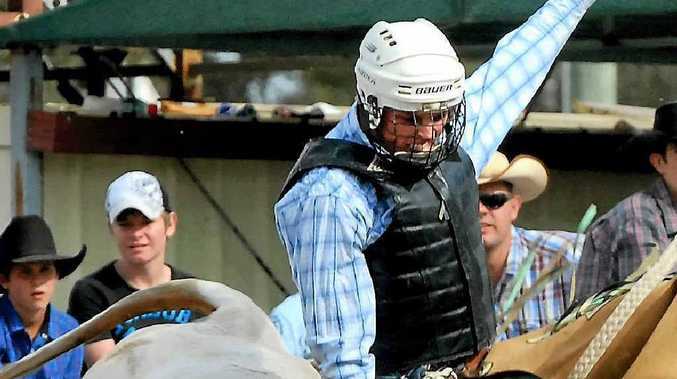 "It will give the people a bit of an idea of what the bull rider is looking at," he said. "It gets them as close to the action as they can be." Mr Hilton said the big screen was a hit when it debuted last year. "It proved to be very popular last year with everybody. Not just the spectators but the competitors as well," he said. Mr Hilton said everything was on track for the rodeo events which start Thursday for the juniors. "It's going great, we have good entry numbers," he said. "We have a few internationals coming and some Aussies returning from overseas in time."